'The Rocket' Ronnie O'Sullivan has withdrawn from Australian Goldfields which will be held next week in Victoria, Australia due to medical reasons. O'Sullivan has completed the first part of journey to Bangkok but decided to return to UK for medical treatment because he suffered from neck and back problem. His opponent in Round 1 is Dominic Dale but he will not receive a bye to Last 16 but instead he will play Australia's Steve Mifsud. Originally Mifsud is going to play Matthew Selt and now Selt will play John Higgins staright away in Round 1. Former World Champion in 2006 Graeme Dott also announced to pull out of the event early this week. I wish Ronnie will solve his health problems as soon as possible because it is only the start of the new season. 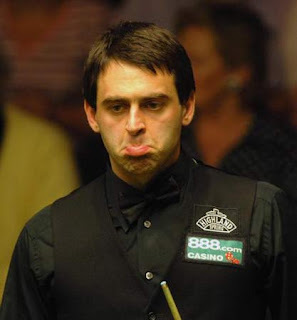 I believe Ronnie does not intend to not going down under to play but really pulled it out due to medical reasons. Good luck to the Rocket!